Sail through the countryside on the back of a bicycle and see fabulous scenery at your own pace on holiday. Read about the fun that a self-catering cottage break with bicycles brings. People repeat holidays that they enjoyed. Staying in accommodation with bicycles for guests is a great advantage during a rural break. It makes getting out and about so much easier on holiday. When the stresses of modern life get to us, the best remedy is usually a little bit of time away (especially if, like most of us, you can’t afford therapy!). Despite what many people think, a short break doesn’t have to be exotic, lively or even warm. It’s actually revitalising enough to simply escape the daily grind and find a little breathing space of your own for a few days. And one of the most popular short getaway types in the UK is still the classic cottage holiday; a quaint and quintessentially British way of finding home from home, usually near the sanctuary of a rugged coastline, or amidst an abundance of greenery. And while such cottage holidays are often a pleasure in themselves – especially if you are sharing the right accommodation with the right people – they can be further enhanced by simple additions. A great way to upgrade your break is by seeking out a cottage holiday with bicycle hire available. Cycling isn’t just good for maintaining our fitness (and giving us celebrity-grade legs); it’s also a great way to explore a new area in depth and at your leisure – whether it’s gorgeous Devonshire coastline, or the peaks and valleys of south Wales’ Brecon Beacons. Yes, to answer your query, you can certainly bring your own bicycle with you on a cottage holiday, which the property owner will likely be happy to accommodate. But this involves the carting of said bicycle, or bicycles, from A to B – which can involve the hire of a bike rack which is expensive in itself. Not everybody in the world owns a car, either, so moving a bicycle from home to holiday cottage may be entirely impractical. Imagine trying to crowbar your mountain bike onto the underside of an already packed coach! And it’s not just for practical reasons that you might want to consider starting your search for a cottage with bicycle hire. Cycling is one of the most versatile and inclusive forms of exercise around, meaning long, meandering rides that sprawl several kilometres are just as common as short daps to the local beach. 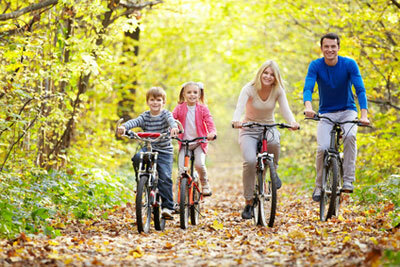 Children aside, cycling holidays are also a great way for romance to blossom, or even rekindle. There aren’t too many sights more romantic than a couple on an exclusive bicycle ride, weaving through country lanes and visiting gorgeous old English pubs. You’ll also work up a hell of an appetite and hand yourself a great excuse to indulge in pudding, or that extra glass of wine! If a cottage holiday with bicycle hire does sound like something you’d like to do, however, there are a few things worth bearing in mind when booking. Firstly, you want to ensure you’re visiting a location with good cycling routes. There would be nothing worse than hiring a bicycle, only to find out you’ll need to compete with cars on dangerous A-roads at around 50 miles per hour. It is worth researching some of the traffic free routes dotted around the countryside. 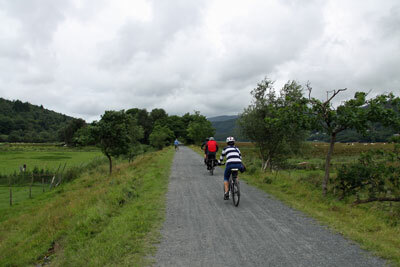 For example, the 18 mile long Mawddach Trail that connects with Barmouth on the Welsh coast is wonderful for family cycling. View country cottages in Barmouth, close to the Mawddach trail. The Tissington Trail in Ashbourne, Derbyshire. 13 miles long and stretchs from Ashbourne to Parsley Hay. 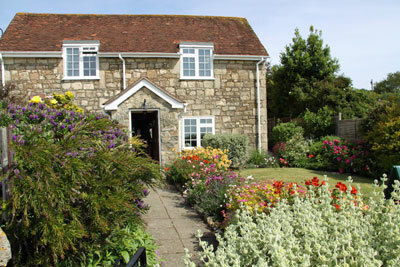 Find a country cottage to rent in Ashbourne. There are also log cabins at Sandybrook Country Park, in Ashbourne, which has its own cycle trail for families. The short Troll Trail on the Isle of Wight is part of the National Cycle Network and is ideal for cycling with children. Just over three miles long, it is the renovated former railway line between Merstone and Shide, south east of the main town of Newport. There are rest places with carved benches and bridges that may have a troll lurking beneath. The Isle of Wight is fabulous for cycling because it is peaceful and has numerous country lanes. Wild flowers are abundant. View cottage holidays near Merstone. The Strawberry Line in the Mendips, Somerset runs from Yatton to Cheddar plus has a small extension near Wells. How lovely to end at Cheddar and visit the gorge and also the home of Cheddar Cheese. A great day out for adults and children. More important still, you need to ensure your needs are catered for by the holiday provider, whether that’s child friendly bicycles, fixable seats or stabilisers. Don’t be put off, though – just be prepared! Hundreds of acres of open land for walks and nature rambles from your holiday cottage. Farmer's markets are a source of high quality delicious local produce for your holiday.